We love this business, it’s the perfect job for us, working with wonderful clients who appreciate quality and accept nothing less! Mint condition, upscale amenities, great location, river view! No Open Houses this Weekend. Wishing you a joy and peace this Easter with family & friends! #1 Real Estate Video of 2018! Coldwell Banker’s Home For Dogs Project is the winner of the Best Real Estate video of 2018 ! This heartwarming video highlights their project of finding homes for over 10,000 rescue dogs across Canada and the USA in the past two years! Kudos to them!!! If you love pets you’re going to love this video which is sure to bring you a big smile! View this and our 2017 video ‘Coldwell Banker Hoops’ showcasing one child’s move to a new neighbourhood enhanced by a new basketball hoop. Both are available to view on YouTube or simply click ‘Videos’ on the menu to the left and enjoy. At Coldwell Banker we’re not just selling houses, we’re selling homes and we understand that Family is home and your pets are part of that family. #1 Top Producer by province, representing NEW BRUNSWICK, 2017 & 2018! Charlie Young, President & CEO, Coldwell Bank Real Estate LLC. Charles Turnbull and Katherine Bacon have put their experience and expertise together to get your home SOLD! With over 30 years-experience in real estate sales (straight out of university) and as an income property owner, Charles’ history as one of the top 10 salespersons in the country as a Century 21 Hall of Fame Inductee is well-known in this area. His common goals fused with Katherine’s marketing skills in print, on-line & social media make them a winning combination thus their logo “Experience-Integrity-Discretion”. View details on Charles background, services and contact info under ‘Profiles’. Whether you’re downsizing or up-sizing, buying your first home, dream home, multi unit, commercial property, condo or vacation cottage, “Your Home Is Your Castle” and you can count on Katherine and Charles for professional service & outstanding commitment to excellence without presumption throughout every transaction. Their clients receive quality service, integrity, dedication and results. They gives good value, respect your privacy, know your time is precious & promises not to waste it. With their business backgrounds, people feel confident with them right from the start and with their easy smiles, down to earth approach and calming personalities, they feel comfortable as well. As a Board of Trade award winner plus Chairman’s Circle Gold & Platinum awards and the industry’s most illustrious awards, The Legend and Double Legend, Katherine brings a highly respected business savvy to her real estate career as the industry leader & trendsetter! With her extensive training Katherine has brought many firsts to the real estate industry in New Brunswick and Canada! She is included among the top 1% of Prudential producers in North America from 2006 to 2017 and the trend continues as she leads the province as Coldwell Banker’s Top Producer since joining the company! Charles Turnbull has sold thousands of properties as one of the top 10 producers in the country as a Century 21 Hall of Fame Inductee, 8 time Centurion and over 20 Gold and Platinum Awards! Together with Coldwell Banker they will get your home sold! Call on Katherine or Charles for solid advice for all your real estate needs! Legacy. Our story of leadership, innovation and success dates back to San Francisco in 1906. After a devastating earthquake, real estate agent, Colbert Coldwell saw the need for trusted, honest and knowledgeable real estate services to help the city rebuild. A few years later, Benjamin Arthur Banker came on board and then became a partner. The founding heritage of providing professionalism and superior customer service remains the core of the Coldwell Banker philosophy more than 110 years later with 88,000 agents in 49 countries, coming to Canada 74 years ago in 1943. Recognized for their philanthropy, two of Coldwell Banker’s best known projects are “100 Homes for Humanity” and “Adopt-A- Pet”. To mark their 100th Anniversary in 2006 they started an initiative to raise $5Million to support 100 Homes for Humanity. To date they have raised $6.1Million and committed to more than 130 homes. For over 100 years Coldwell Banker has helped people find homes and now our mission includes man’s best friend! Out of the rubble of the 1906 San Francisco earthquake Coldwell Banker helped saved dogs along with people. They have joined forces with Adopt-A-Pet, North America’s largest non-profit pet adoption web site to help 20,000 dogs find a home this year! Innovation. An industry pioneer for more than a century, Coldwell Banker was the first full-service real estate brand to launch a national website, stream listing videos online, create an iPad application and listing video channel on YouTube, design mobile-friendly sites and be recognized for our best-in-class training. The trend continues! Global Luxury; List Locally-Market Globally! BIG HOMES ONLY! NO WAY! Some people think that we sell high end homes only but this is not so! Yes we are specifically trained to sell high-end homes but together we have sold thousands of properties of every size and price range from the modest starter home to mid-range, multi family and commercial properties, we are experienced in working with buyers and sellers in all price ranges! Our high standards hold true through every price range with modest homes getting the same professional photographer as the million dollar home, no double standards here! Use our experience and extended services to benefit your property sale and our negotiating skills for buyers and sellers are well honed; it’s what we do best! Click on the SOLD link to see what we’ve sold in your neighborhood! Your “Home is your Castle” and it deserves to be marketed by an expert! Consistently setting the standard in Atlantic Canada for real estate marketing, we appreciate your business and ensure the same high standard of service to all our buyers and sellers no matter what the price range, size or type of property. We were pleased to have been the first Realtor in our area to provide professional photography to each and every property on our roaster. It’s important for your home to look its very best as buyers search for just the right home. Professional photos for all properties have been a standard with us for over a decade! Every listing receives the same high standard of service, the same attention to detail, that your property deserves! We’re Social! Our marketing includes Facebook, Twitter, Instagram, Linked-In, Pinterest & more with regular updates and on-line ads! In this day where social media rules, marketing here is most important especially if you feel your home will be of interest to first time home buyers who especially enjoy to shop through social media. 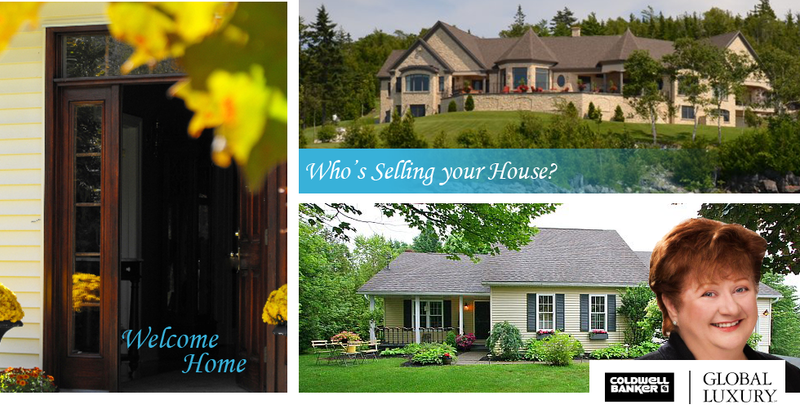 Our web site KatherineBacon.com receives thousands of hits per month and our sellers enjoy more hits here than they receive on https://www.realtor.ca/ and MLS. The property write-ups on our site are not limited like other sites to 300 words but describe in detail the quality of life that goes with each particular address. Can your property be fully described in 300 words? Probably not! Buyers tell us they love reading the full descriptions in detail and when they read the one that describes their dream, that’s the one they book a showing for. Our listings are connected to over a dozen other real estate web sites and search engines to ensure your property is front of mind on line. Our spread in the Real Estate Guide ensures that your property is in every single issue on print and on line! Our advertising at the Saint John Airport is seen daily by business travelers, frequent flyers, snow birds and those relocating! Remember the first stop for those relocating is the Saint John Airport, and they are looking for homes like yours! Our social marketing includes a predominant presence on Facebook, Twitter, Instagram, Linked-In, Pinterest & more with regular updates and on-line ads! In this day where social media rules, marketing here is most important capturing those who enjoy to browse through social media. Through frequent posts my professional social media marketing specialist highlights my listings and the unique lifestyle that goes with each individual property showcasing to the world the benefits of your property. Social media is just one more area where we can capture exposure to your property and all the fun that can be had there. So come on board and let’s get social! A firm believer in keeping current, Katherine continually updates her training yearly travelling to seminars and courses given by the best in the industry showcasing the latest and greatest in sales techniques, strategy and marketing for the real estate industry. It’s expensive and timely but she feels it’s a very important integral part of getting your home sold. Katherine’s and Charles’ sales techniques include both ‘old school and ‘modern methods’ that have a proven track record! Old school methods can include lawn signage, open houses, MLS, airport signage and The Real Estate Guide. Some of these are very costly, such as the guide and airport signage but they all include important exposure to thousands of potential buyers who may drive by, drop in or enjoy reading about our local market (and your house) in their Saturday’s paper over their morning coffee. Modern methods are more important than ever with technology changing at the speed of light! Do you enjoy browsing the market on your iPad while you catch the first rays of morning with an herbal tea? Katherine is known for creative, strategic, web focused marketing. Our web site, matching buyers to your property, specializing in lifestyle marketing and considered to be one of the best in the country, is browsed by many on a daily basis receiving several thousand hits per month. Properties are featured on our blog and through digital marketing, linking to more than a dozen affiliated popular real estate sites plus luxury links for her upscale clientele and inclusion in social media with Facebook, Twitter, Instagram, LinkedIn and YouTube showing what’s happening in real time. As fast as you can Tweet, Message or Text Katherine and Charles are right there to respond to your request. Their web designers and tech support are considered the best in the business. It’s not enough today to simply have your property posted on Facebook. our professional social media marketing specialist takes her listings to a higher level, easily standing out in the crowd above other properties. You want an agent who covers all the bases and demographics, with the knowledge to know where your home should be featured and is not afraid to spend what it takes to get it there. It’s a modern approach to real estate mixed with the tried and true but you never know where your potential buyer may come from. One thing you know for sure is that you don’t want to miss a beat! You’ve heard of the popular expression in real estate, “Location, Location, Location” well with marketing its “Exposure, Exposure, Exposure”! You can never have too much! RELOCATING FROM ACROSS TOWN OR ACROSS THE COUNTRY? IT’S ALL ABOUT LIFESTYLE! Buyers relocating to Southern New Brunswick find us a joy to work with. Katherine has traveled the globe but has called Saint John and the valley home since birth. She and Charles will be happy to answer all your questions on the area and introduce you to essential services available as well as valuable additional information available only from a true local! Wondering who can paint that deck or who sells the juiciest steaks? We’ll help you immigrate smoothly into one of the friendliest communities in the country, well known for its welcoming Maritime spirit. For valuable web links on everything from Schools to Business Assistance, Golf to Sailing, click on “LOCAL LINKS” and let’s begin our search for your new home today! Watch for our welcome sign centered over the luggage carousel at the Saint John Airport YSJ and let us be the first to say, “Welcome To New Brunswick”. Be sure to check with us concerning our Exclusive Listings, which are not on MLS or our web site and may cover a diverse price range and type of property ranging from water front, ocean front, water view, heritage, vacation home, multifamily, and commercial. These properties are Exclusive to our agency and you will need to contact one of our agents for viewing and purchase. For various reasons some sellers require discretion with the sale of their properties and you never know what we may quietly pull out of her pocket! Don’t miss an opportunity to purchase one of these special properties, which may be just perfect for you! Ask about our “Pocket Listings” which sellers insist be handled only by us. The details are only a phone call or email away! If you are considering the purchase or sale of property in Southern New Brunswick, keep in mind that our services, training and background are very unique in the industry giving you so much more added value for the same standard commission. Doesn’t your purchase and/or sale deserve to be handled by an experienced expert? Did you know that besides self-contained homes that we actively sell land, building lots, multifamily and commercial properties? Recent commercial transactions including the Saint John Board of Trade/Uptown Saint John building, Reggie’s Restaurant and Westmount Estates? After all a salesman is a salesman, you either have the abilities or you don’t and the qualities you bring to the negotiating table are the same! Thinking of selling your commercial property or multi-unit building? Charles has many years experience in this area not only as a sales person but as a commercial and rental property owner himself! He knows well the ins and outs of the day to day process that goes into leasing, rentals and keeping your property looking it’s best! If you are considering to sell, call Charles today for a no-obligation appointment to view your property and set the pricing. Both owning pets and coming from homes of animal lovers, Katherine and Charles are proud to sponsor the Saint John Animal Rescue League and provide “I Need A Home!” weekly in Saturday’s Telegraph Journal for the past decade. “Check for available pets at www.spcaanimalrescue.com and support those who cannot speak for themselves.” Katherine is the recipient of the 2006 Prudential CARES Volunteer Grant from Prudential Financial in recognition of her service and thanks them for their donation to the shelter on her behalf. SPCA/ARL has announced a 100% adoption success rate of the animals advertised through this program which started in 2004! “THANK YOU SAINT JOHN, TOGETHER WE’RE MAKING A DIFFERENCE IN THE LIVES OF THESE HELPLESS ANIMALS”!